Have you ever heard the expression we don’t have problems, only opportunities? Well here at Jones Harris we certainly like to think that way! Cast your mind back to March 2018 when, instead of baking heat waves, we were all complaining about howling gales. 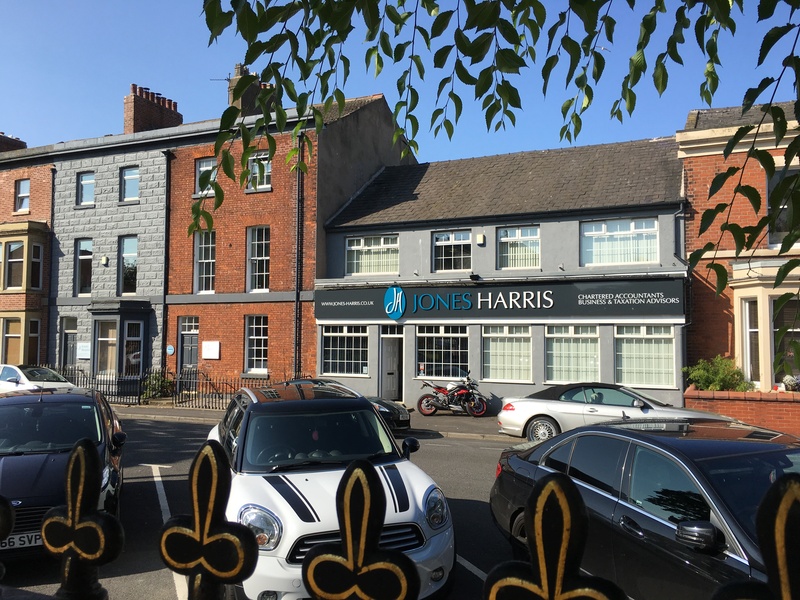 One of those atrocious winds blew the lozenge shaped ‘JH’ part clean off the sign on the front of our offices at St Peter’s Place, Fleetwood. It would have been a fairly simple task to simply replace the lozenge. However, we turned the problem caused by the weather into a marketing opportunity, and instead replaced the whole sign over the office windows. It now matches the style of the current Jones Harris website. It’s taken a little while to reinstate it, but now the front of the building is complete with full livery once more. Take a look next time you are in the area. Why not pop in and say hello while you’re there? In business, as in life, we’re often dealt a curved ball. At first glance that curved ball might seem like a problem of epic proportions. But if you look hard enough it might just be hiding a golden opportunity. Sometimes the best decisions come out of the worst situations. 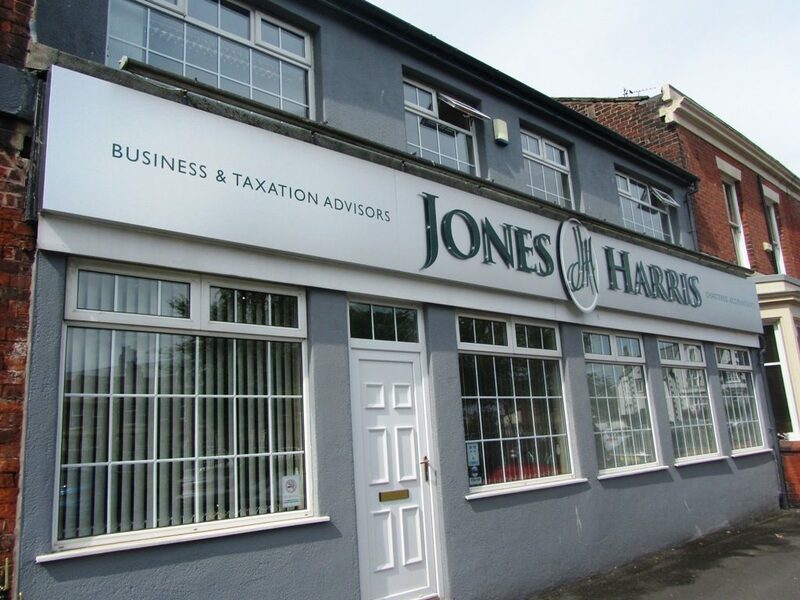 As accountants and business advisors it’s our job at Jones Harris to help you to navigate your way through the curved balls of business when (without trying to go metaphor mad) you probably can’t see the wood for the trees. Why don’t you get in touch for a no-obligation chat? Have you seen the Poppies appearing in Fleetwood?